A judge in Palo Alto, California has issued a preliminary ruling that tenants cannot claim punitive damages against a corporate landlord. The tenants, a married couple with children, filed a lawsuit against the landlord demanding millions of dollars in compensation and punitive damages because of what they claim were substandard conditions in an apartment they occupied for six years. According to a news report, the corporate landlord is one of the largest in the nation, with thousands of units in the area. The judge reasoned that a corporation cannot be liable for punitive damages based on allegations that one employee may have acted with malice or lack of regard for the tenants, the standard needed to support a punitive damages award. 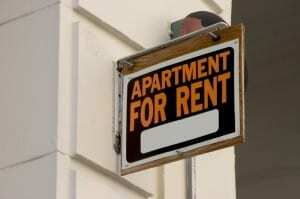 The tenants have alleged that the apartment manager ignored their persistent complaints about the conditions at the property. The tenants are claiming those conditions — which include bad weatherstripping, ceiling cracks, pests, and peeling paint — gave rise to breach of contract, negligence, and intentional infliction of emotional distress, according to the report. Generally, punitive damages cannot be awarded in a breach of contract case, only in cases of personal injury, and where there was some level of wanton or intentional conduct. The judge explained that the only way the tenants could claim punitive damages against a corporate entity is to show a systemic problem rising to the level of higher management. In this case, no such allegations have been made. However, the tenants say they still have time to amend their complaint to add factual allegations relating to higher management, according to the report.